It wasn’t always like this. I’ve covered the town for more than 20 years, largely as a features writer and columnist. I also served time as an education and city reporter for two local publications, The Monterey County Herald and the Salinas Californian. Other local media outlets covering the town include the Monterey County Weekly, the NBC/ABC affiliate KSBW-TV, CBS affiliate KION-TV, and Univision affiliate KSMS-TV. Salinas calls itself the Salad Bowl of the World, which sounds like a healthy thing, but our multibillion-dollar lettuce economy is complicated—maybe more complicated than outsiders care to understand—and our struggles are a window into California’s future. What do you think happens when one of California’s richest industries conducts business in, and culls its workforce from, a highly concentrated immigrant community? You get changes of the kind that aren’t sensational—and thus are underreported if they are reported at all: the ripple effects in a community of low academic achievement numbers among English language learner students. Or the problems caused by overcrowding and high population density in certain parts of town. Or stories that get reported as something other than what they really are. The idea that Salinas is a dumb town is pretty inaccurate. Harvesting produce doesn’t require an advanced degree, but it’s no job for dummies. Have you ever attempted to pick a strawberry field? I haven’t, but I understand from growing up here the careful technique required not only to pick the produce gently, but also to do it at a rapid fire pace. 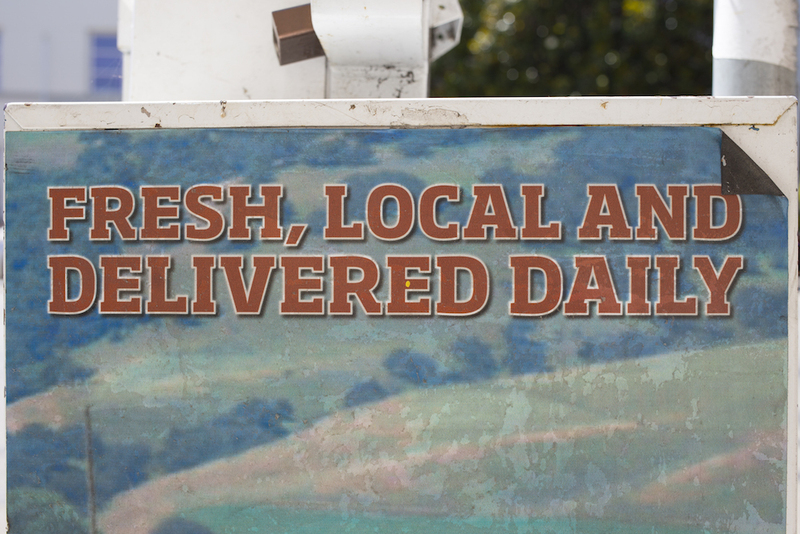 Our farm workers move fast and efficiently. You have to be smart and know the land to be successful in the fields. Forbes didn’t have the time or just didn’t bother to report that any of this context. Ironically, Forbes did have time to host an agriculture technology summit in town recently. Billed as “Reinventing America: The AgTech Summit,” the conference brought together Silicon Valley and Global Ag leaders, many based here in the Salad Bowl, for breakout sessions on the booming AgTech industry. It was an invitation-only event. I mention that because it shows the contrasting sides of this town’s image. We are uneducated enough to make top 10 lists, but somehow industrially sophisticated enough to host big business think tank sessions. In this dichotomy and others, Salinas may provide a window into the future of this state. We are a rural community steeped in Old West tradition (we host the biggest and oldest rodeo in the state). At the same time, the town is changing, with its economic and cultural divide widening by the year. 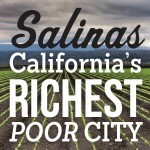 And Salinas, according to a recent study, was one of the most segregated cities in the nation. For that study, professors at Brown and Florida State University created a dissimilarity index that identifies the percentage of one group that would have to move into a different neighborhood to eliminate segregation; Salinas had a 60.9 percent white-Latino dissimilarity rate, the 21st highest number in the country. Combine our modern social challenges with our old-school agricultural labor practices and our recent emergence as a Silicon Valley bedroom community, and you have a town that offers a bit of everything that people relate to the California experience—sunshine, soil, and sync. 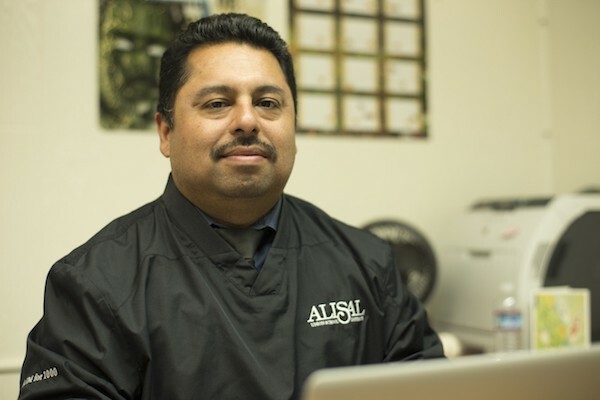 Marcos Cabrera is the public information officer for the Alisal Union School District. He is a founding member of the theater company Baktun 12. This essay is part of Salinas: California's Richest Poor City, a special project of Zócalo Public Square and The California Wellness Foundation. *Photos courtesy of Eric Gutierrez.